Kitchens are the heart of the home and sometimes they are in dire need of a kitchen-o-plasty (I just made that up). Now, I am not a doctor, but I do know how to write a mean prescription to cure unsightly kitchen inflammation. 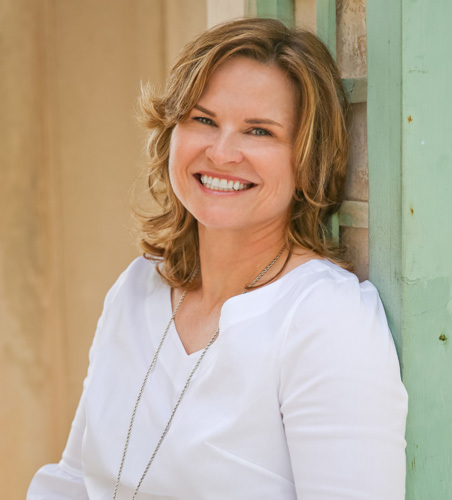 For my clients, it's as simple as taking a chill pill, sitting back and letting us handle it all. This kitchen has existed since the 90's.. the 1990's. 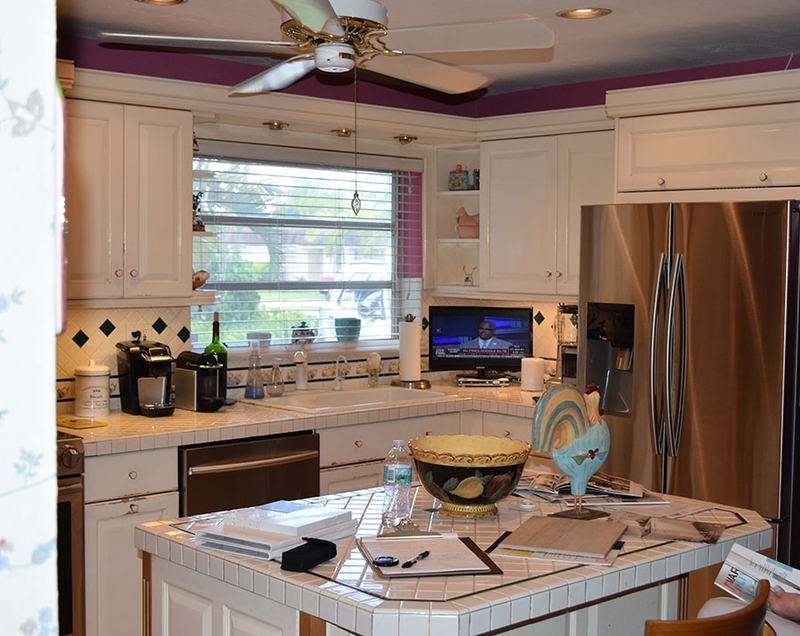 Note the dated tile countertops and the pink walls. Time to update! A lovely, semi-retired couple looking for a kitchen designer in Miami contacted me to help them with their kitchen. This kitchen. It had served them well over the years but now they were gearing up for full retirement and their number one priority on the list was....guess. Yes! The kitchen! 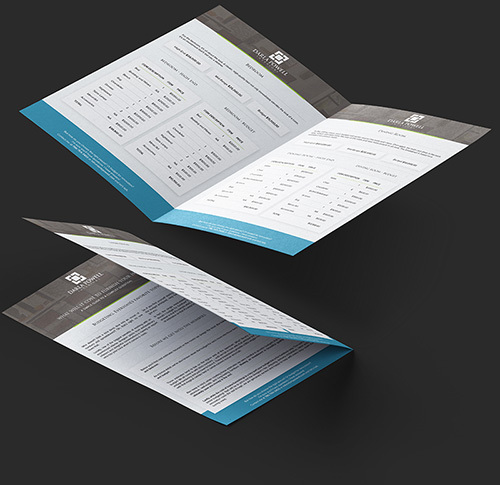 My clients expressed to me that they had a strict, set budget and, I'm not gonna lie, it was a little tight. 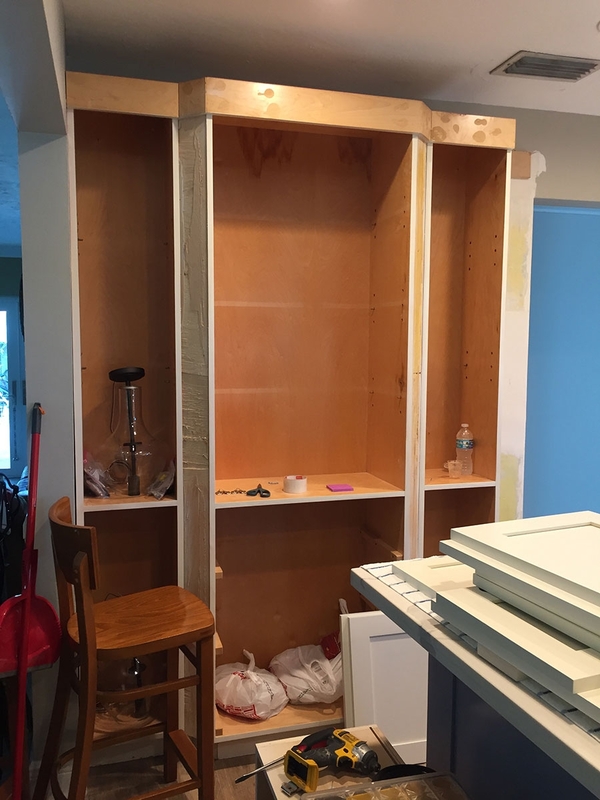 There was only one way to possibly get this kitchen done on their budget and that was to consider refacing rather than replacing these well-made, albeit dated 90's bulletproof cabinets. And that's what we did. Mostly. I decided that those upper cabinets needed some more height. The super low ceiling (7'10" ish) wasn't helping so we needed to trick the eye and raise them. The only way to do this was to replace the uppers entirely. 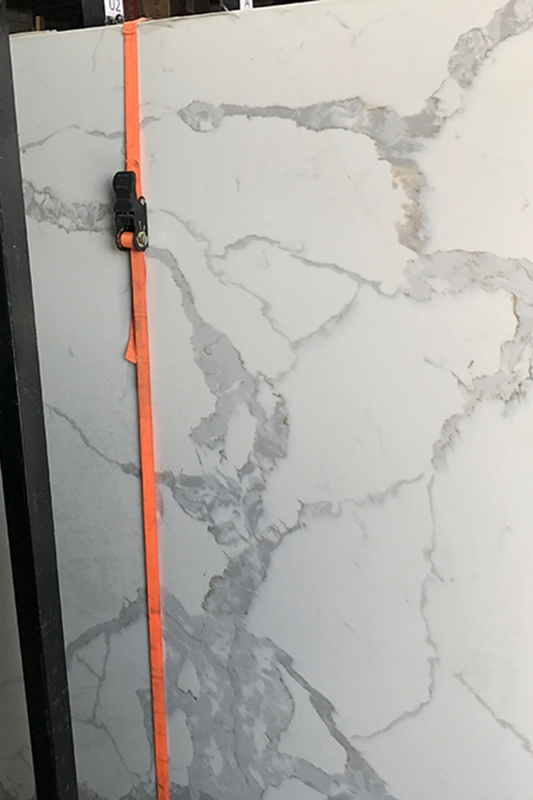 So, a nice little hybrid reface solution. So what is refacing you ask? 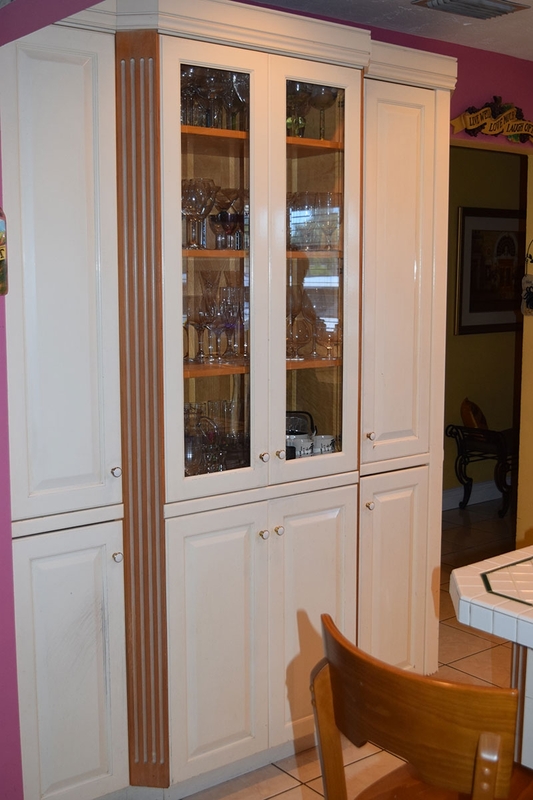 Basically, it's a facelift for existing cabinetry that's in good shape but needs an esthetic shot in the arm. 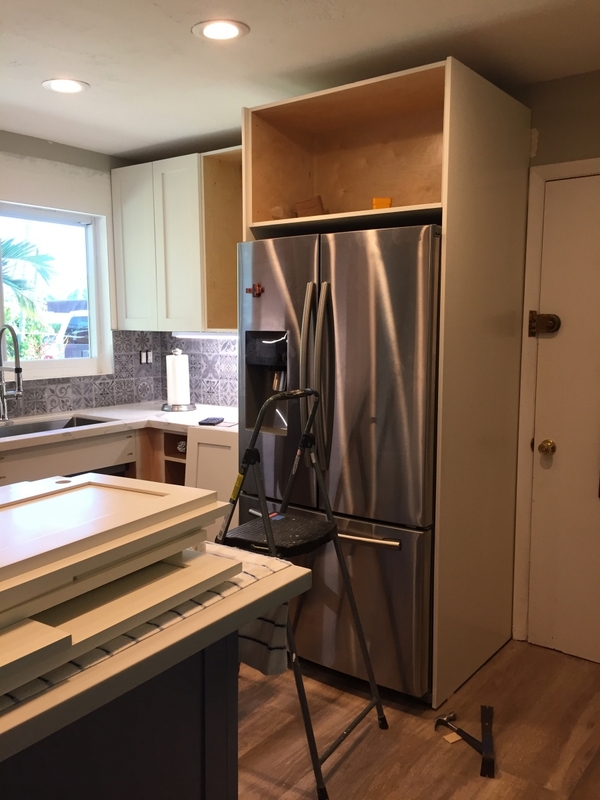 Ordinarily, a refacing will include removing the existing doors and drawer fronts, painting the boxes and then replacing the doors and drawer fronts with new, updated pieces. So, you do forgo the expense of having to purchase entirely new cabinetry but there is the offsetting expense of the paint, and labor, etc. Depending on your kitchen and cabinetry it may or may not make sense. In this case, the savings was enough to juuussssst slide in under that aforementioned tight budget — so we went for it! 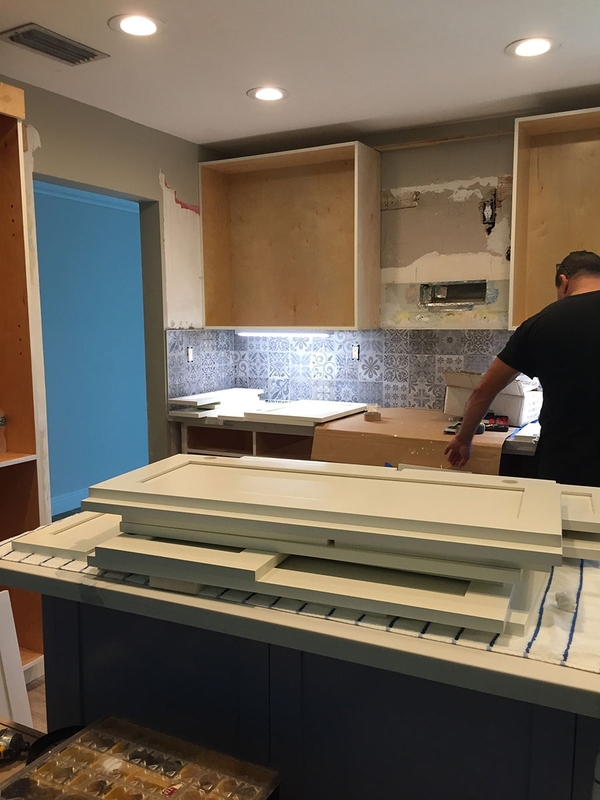 I wanted the homeowners to have something classic and not too trendy since this was going to be a kitchen to last a while, so I chose simple shaker style doors and decided the cabinets needed to be Sherwin Williams Alabaster White (My favorite white and Sherwin William's color of the year for 2016). 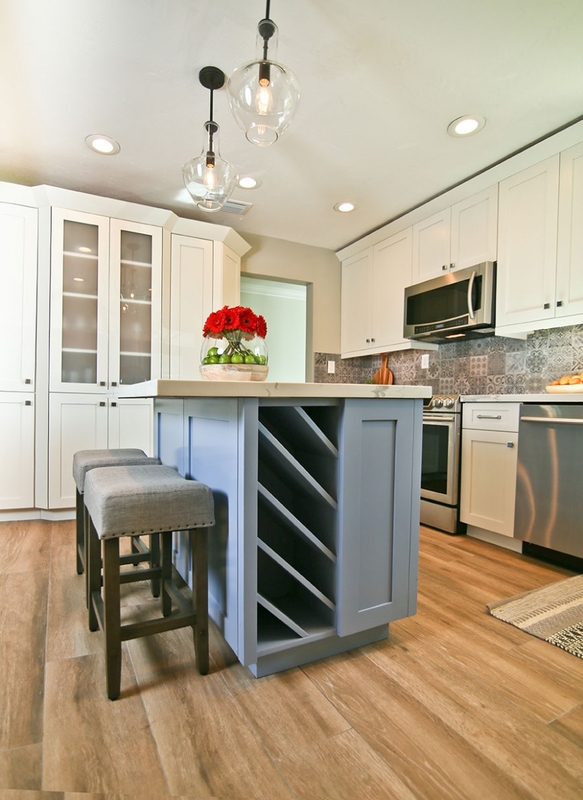 This would help a pretty small and dark kitchen seem larger and more spacious. 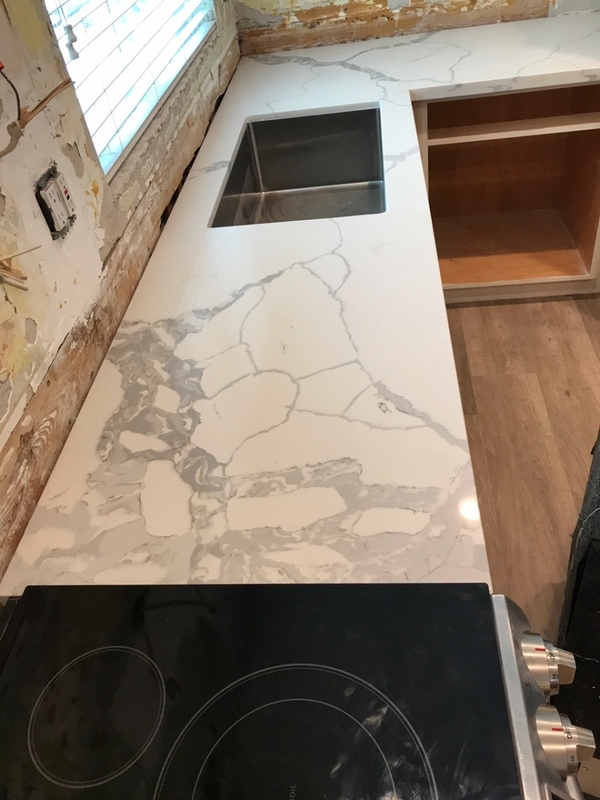 I also knew I needed to snazz up that white a bit, especially since my clients were hip and wanted just a bit of extra pizazz to go with the classic. With that in mind, I chose Daphne, also by Sherwin Williams, for the island (trust me. It's awesome. You'll see). QUARTZ! QUARTZ! QUARTZ! I found this stunning specimen at my local Miami fabricator and knew instantly it was the one. The fact that the heavens opened up and angels started singing didn't hurt either. Notice that slight hint of warm "veining" in it also. A beautiful tie in with the flooring. The homeowners wanted to redo the flooring also (in the entire house - yay!) and that played very nicely into my hands because I really wanted to contrast that cool palette with a warm, grounding foundation. 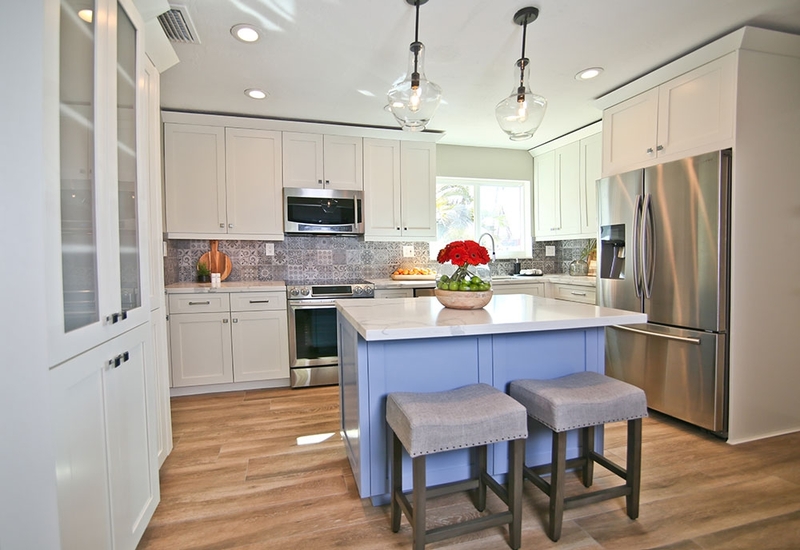 We chose this budget-friendly, porcelain wood-look tile. Durable and pet-proof. Perfect. The flooring before (with my cute client, Jaeger) and the replacement choice. The clients chose a chrome kitchen faucet so I went with chrome pulls and knobs for the cabinets. Clean lines and nothing too complicated but just enough to dress up the simple shaker style of the new doors and drawers. 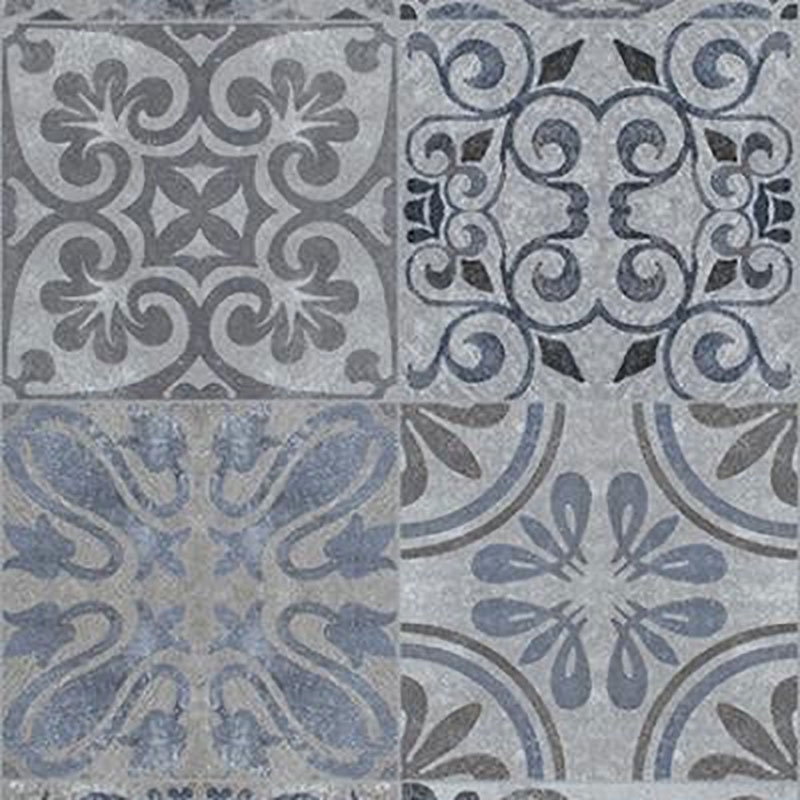 This is Antique Blue by Porcelanosa. You guys know I love me some Porcelanosa and, thankfully, my clients fell in love with this choice also. Look Ma! No more pink walls! Nope. Instead, Revere Pewter by Benjamin Moore. New, taller uppers and doors getting ready to get installed! And there you have it. 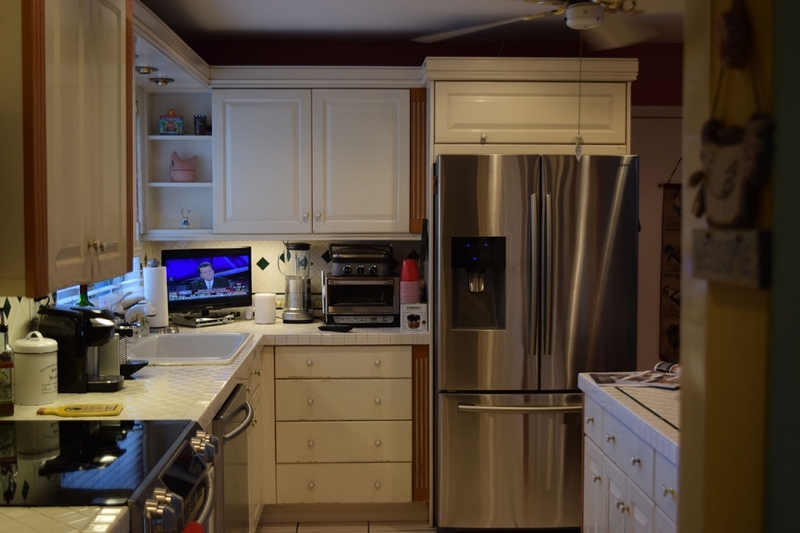 This kitchen went from drab to fab and I have some very happy clients. Jaeger included. What do you think of this interior design transformation? I would love to see your comments below. Is your kitchen in desperate need of a style transfusion? Give us a shout. We make house calls here in South Florida. Thanks for reading! Please click the "Like" button below if you enjoyed this article.